The time is almost upon us for SolidWorks 2010 Beta testing. A few months back I received some information regarding target dates for some of the Beta releases and it turns out that they were pretty close. 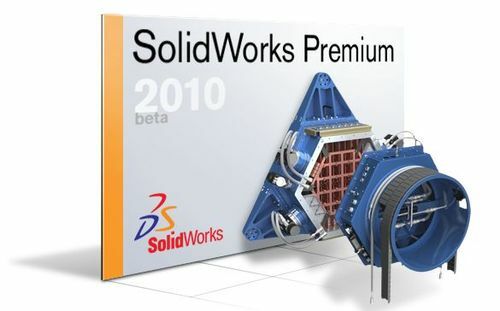 I am hearing that SolidWorks 2010 Beta 1 is about a week away from posting to the Beta website at the Customer Portal. Make sure you check out this post on my site or the recent post on Mike Puckett’s site for details on how to sign up. I sent out some e-mails and a few Tweets via Twitter a few days ago asking if maybe the What’s New in SolidWorks 2010 Document could be uploaded at least a few days prior to the Beta 1 download. I haven’t heard anything back from SolidWorks yet but did get quite a few enthusiastic “seconds” to that idea from some in the user community. This would be a great way for Beta Testers to “study up” a bit prior to the download. I have seen a few of the SolidWorks 2010 features a few months back but of course there is an NDA that is still in place until late in the Beta program. All I can say is I REALLY liked what I saw. Don’t forget that some of the new features of SolidWorks 2010 were revealed at SolidWorks World 2009. Check out this post for a list of what has been revealed to the public. I’ll post updates here as more details on the release time are revealed. UPDATE – 6-9-09: I’ve gotten a response back from Matt West on Twitter and a few e-mails as well. SolidWorks is looking into the possibility of releasing the What’s New early and will get back to me. I’ll post more as I get updates. You can get the What's New 2010 if you get creative with the website. Looks like this will be a good release, i can't wait for some of the enhancements and fixes added…..much needed. I replied to you yesterday–go back and check your @ messages. The idea is under consideration. I'll let you know either way when I get an answer. Sorry I missed that tweet. I appreciate you passing the word along. Looking forward to Beta Testing! LOL! If anyone could figure out that trick…it would be you man. Looking forward to some good discussions on the beta forums! Have you new info for the beta version launching ? It should be today, isnt it ? Yeah, I cant wait too… this is going to be realy good. Looks like this will be a good release, i can’t wait for some of the enhancements and fixes added…..much needed.